This is my idea for a robot. 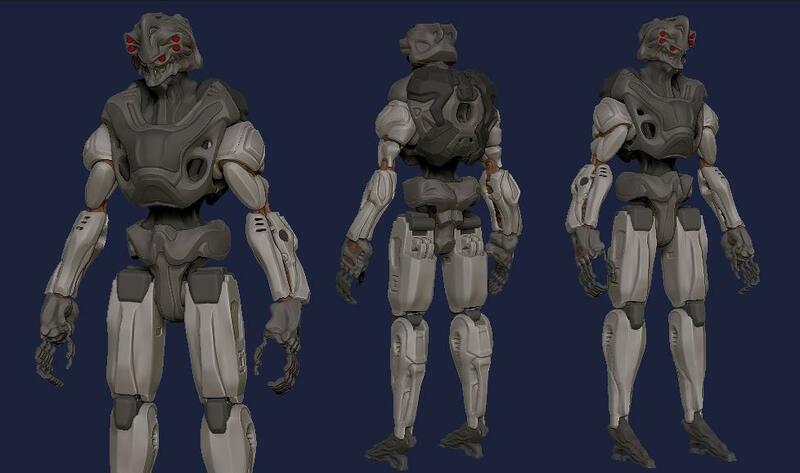 A heavy infantry class robot. It has a large solid frame design to combat to combat light armored vehicle. multiple sensor lens to detect enemy units and collect data for conducting combat analysis. Legs and feed are design for more effective movement in narrow spaces.